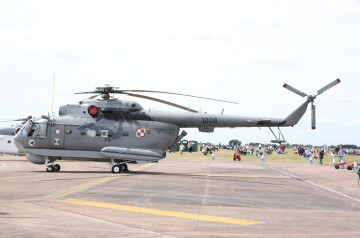 Developed in 1967, the Mi-14PL anti-submarine warfare (ASW) helicopter is designated 'Haze-A' by NATO. There was a strike version prototype equipped with anti-ship missiles, as well. The Mi-14PL differed and started the variation of having the tail rotor on the left side of the boom, rotating in the opposite direction. Cabin capacity is 19 passengers in addition to the four crew. 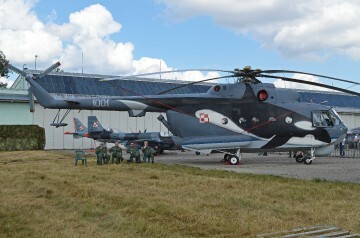 Resources related to the Mi-14PL , provided by the Vertical Flight Society. Resources related to the Mi-14PL , provided by public sources across the internet.